A view of the plots. 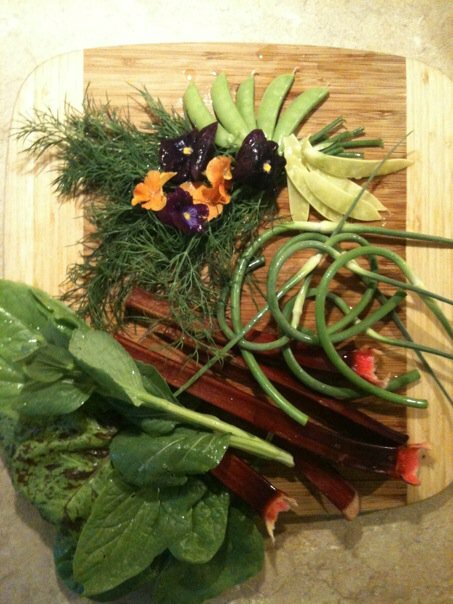 Community interest in urban gardening continues to grow and so does Oakvale Greens. 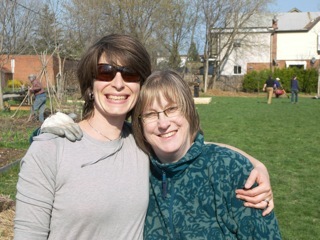 In 2010, we now have 40 personal plots, two personal flower gardens and four community areas for perennials. 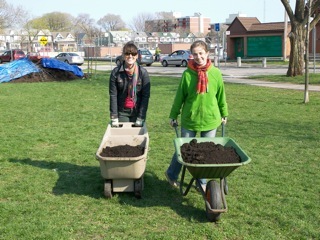 Oakvale Green is also on record as being the first public space in Toronto to be successfully planted with fruit trees. 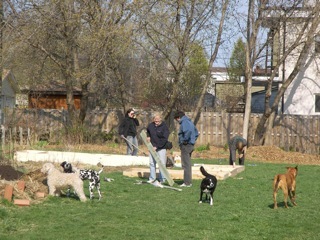 Oakvale Green is unique in that is not part of the City of Toronto’s Community Garden Network. 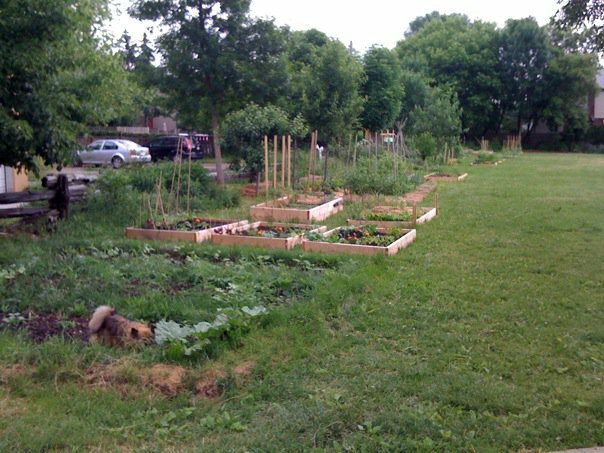 The Gardens exist on land granted for public recreational use under a contract between the Oakvale Avenue Residents Association (OKRA), the parent of Oakvale Green Community Gardens, and the TTC. Because the Gardens are on private land, we are not eligible for public funding from the city. Oakvale Gardens funds its activities through the generosity of sponsors and in-kind donations, and through the efforts of its volunteer members. 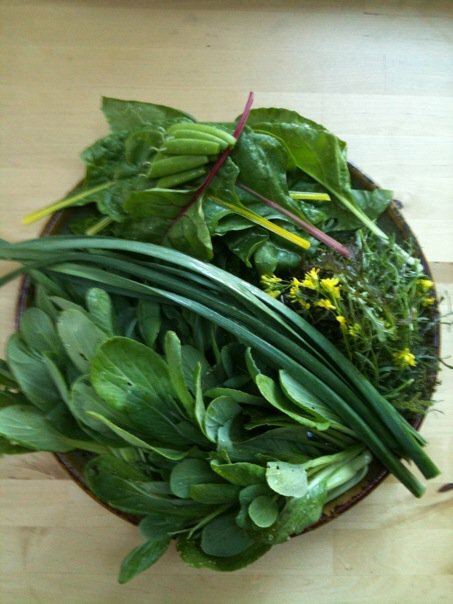 Oakvale Green Community Gardens is a designated non-profit organization. 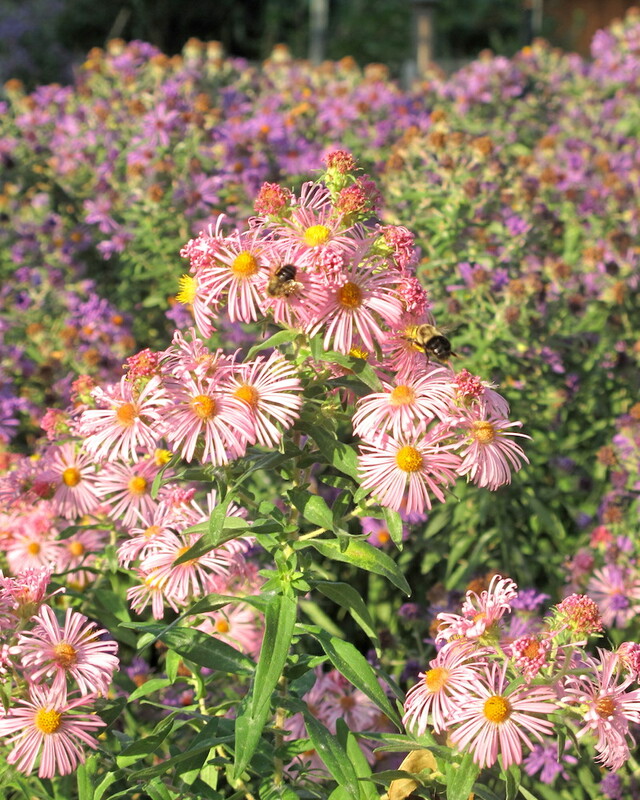 Membership in the Gardens is open to any member of the Toronto community. Oakvale Green Community Gardens is committed to an inclusive membership policy and invites applicants of any gender, age, ethnic origin, colour, sexual orientation, nationality, religion, political affiliation, disability or mental health. A membership agreement must be signed and a minimum of 10 hours of volunteer work per calendar year is necessary to maintain membership. Volunteer opportunities include stewardship of the gardens and orchard on Community Days (weeding, pruning, planting, mulching, etc) and may also include administrative work for Oakvale Green’s Board of Directors or committee work. oakvalegreen AT gmail.com (replace “AT” with “@”).